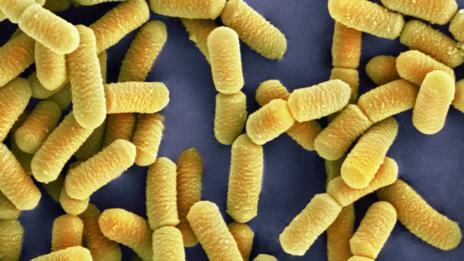 Do bacteria control your appetite? I had sushi for lunch today. Why? Maybe simply because I like sushi. Or maybe I am being controlled by bacteria. Scientists Joe Alcock, Carlo C. Maley, and C. Athena Aktipis reviewed the research on how microbiota affect the brain, and believe there’s a strong case that bacteria influence overall eating behavior. It seems that the bacteria in our guts don’t simply wait for whatever leftovers we have to offer. They actively seek out their preferred meals through tricky deception. “Microbes have the capacity to manipulate behavior and mood through altering the neural signals in the vagus nerve, changing taste receptors, producing toxins to make us feel bad, and releasing chemical rewards to make us feel good,” Aktipis says. So the next time you decide to eat a grilled cheese instead of a salad, ask who wants it. You? Or these guys? ‹ Older Op-ed pick: Could Ebola start to spread through the air?